Ed Kurtzman is one of the most laid back winemakers you will ever come across, belying his accomplished winemaking skills. Ed’s interest in wine began as an undergraduate at the University of Massachusetts in the late 1980s while working at a large retail wine store. He later moved to California and sought employment as a wine wholesaler. Realizing his calling, he enrolled in the enology program at University California Fresno. 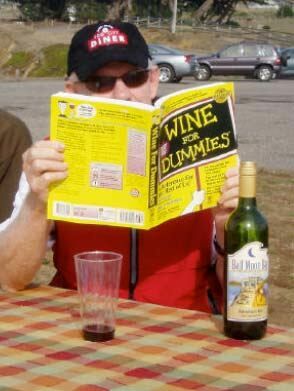 To earn money, he was reportedly one of the best taxi drivers in San Francisco during the years of his wine studies. After graduation, he had stints at Bernardus, Chalone, Fort Ross and Testarossa before settling into his current winemaking positions with August West, Freeman, Roar and Sandler Wine Company. He is also a consulting winemaker at Crushpad. Ed really has a touch with Pinot Noir and his wines are a guarantee of quality in the bottle. The tasting offered vintages 2004, 2005, 2006 and 2007 August West Graham Family Vineyard and August West Rosella’s Vineyard Pinot Noirs. The age ability of the wines was impressive with the 2004 vintage being the standout in the flight. These are fruit-driven and opulent wines with alcohols in the high 14s, yet they are balanced, bright, juicy, and drink beautifully. Ken and Akiko Freeman launched their Freeman label in 2001, sourcing cool-climate grapes from the RussianRiver Valley and Sonoma Coast. A 4-acre estate vineyard was planted in 2007 on the hillside behind the Freeman underground winery located in western Sebastopol. Akiko takes an active role in the winemaking and blending decisions and the winery’s top cuveé is known as “Akiko’s Cuveé.” Freeman wines are primarily sold through a mailing list at www.freemanwine.com. The winemaking is very similar for both the Freeman and August West wines. The 2005 and 2006 Freeman Keefer Ranch Pinot Noirs, the only single-vineyard Pinot Noir produced at Freeman, were offered for tasting. Both wines were solid, showing appealing aromas and flavors of red cherries with moderate alcohols, lively acidity and deft use of oak. The wines are most charming within the first five years after release but can last longer. 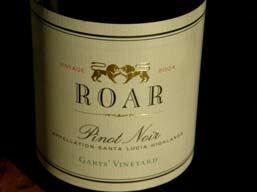 Roar is a partnership between Gary Pisoni, the manager of Pisoni Vineyard, and Gary and Rosella Franscioni, owners of the nearby Garys’ (with Gary Pisoni) and Rosella’s vineyards. The name, Roar, is derived from the sound of the ocean winds that characterize the Santa Lucia Highlands. The Roar Pinot Noir, Syrah and Chardonnay are produced from grapes from the three vineyards. Ed Kurtzman makes the wines in consultation with Adam Lee of Siduri at the winery’s new facilities in San Francisco. The Roar wines are sold primarily through a mailing list at www.roarwines.com. The Roar wines offered for tasting included the Santa Lucia Highlands, Rosella’s Vineyard, Garys’ Vineyard and Pisoni Vineyard all from the 2007 vintage. These wines carry the stamp of Gary Franscioni who is involved with the winemaking. They are big-boned, bold, fruit-driven, statement wines that appeal to those who like their Pinots rich and masculine. 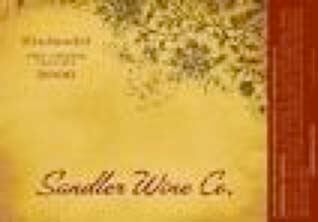 Sandler Wine Company is Ed Kurtzman’s personal label (Sandler is his middle name) that was founded in 2003. Ed crafts small lots (less than 150 cases) of Pinot Noir, Syrah and Zinfandel (and occasionally Cabernet Sauvignon). The wines are produced at the new winery shared by August West and Roar in San Francisco. The Sandler Wine Company wines are sold exclusively through a mailing list at www.sandlerwine.com. The 2004 and 2007 Sandler Santa Lucia Highlands Pinot Noirs were offered. These are fine, but not extraordinary wines, reflecting the dark fruits, modest tannins and earthiness typical of the Santa Lucia Highlands appellation. The 2004 vintage has held up beautifully. Very similar to Freeman in style, but reflective of Santa Lucia Highlands terroir. 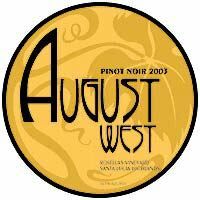 At the end of the tasting, Ed gave the attendees a Pinot Noir Quiz with a magnum of August West Pinot Noir as the prize. I was lucky to get the most correct answers and win a magnum. Here is the quiz with the answers on the next page. Good luck (I got 9 out of 10 correct). See if you can beat the Prince. 1. Name six clones or selections of Pinot Noir. 2. In which Burgundian commune or village would you find the vineyard La Tâche? 3. What are the Swiss names for the Pinot Noir clones UCD 2A and UCD 23? 4. Name three Pinot Noir producers with wineries and vineyards on Westside Rd in Healdsburg. 5. 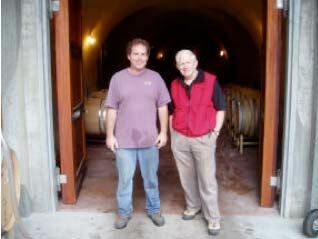 What vineyard did Ed Kurtzman help make Pinot Noir from for the first time in 1994? 6. What year was Pinot Noir first planted at Rosella’s Vineyard? 7. What year was Pinot Noir first planted at Chalone Vineyard? 8. What is the German name for Pinot Noir? 9. Name the mostly Pinot Noir-planted appellation that surrounds the westernmost 10 miles of California Highway 246. 10. How many Pinot Noir vines are there in a 50-acre vineyard planted with 5’ x 8’ spacing?